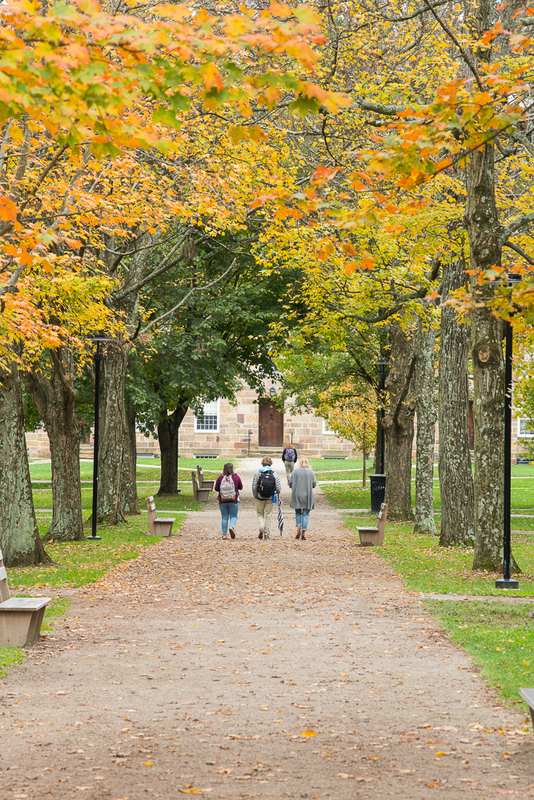 When the charming and historic Middle Path running through Kenyon College’s campus became pitted, messy, and dangerous, Kafka Granite stepped up to the plate and provided the perfect stabilized DG pathway solution to give this aging pathway new life. Having helped many high-traffic areas resurface their existing pathway systems, we knew that we were up to the challenge. Some might think that the name “decomposed granite” implies a lesser significance than that of the stronger sounding marble, granite, or stone, but in reality, nothing could be further from the truth. Sometimes, it’s the little things that make all the difference, as was the case with Kenyon College. When it came time for Kenyon College of Gambier, Ohio to tackle the mounting problems being posed by its historic Middle Path, Kafka Granite was called to come up with a custom solution that would preserve the historical significance of the path while making it safe for future generations. Through a forensic approach, thorough testing and deep collaboration between Kafka Granite and the college’s design and landscaping team, the historic charm and aesthetic of Kenyon’s Middle Path was preserved by the use of a one-of-a-kind stabilized pathway system. The famed Middle Path is a 3,600-foot-long, 8-foot-wide walkway was originally crafted from local river stone. The landscape of Kenyon’s campus is delicately structured around the well-traveled path, rendering it a staple to the scenery. The smooth, round characteristic of the river stone, however, was creating deep wells, soft patches, and excessive displacement that made for puddles, mud, ice and unsafe travel in inclement weather. Calling Ohio home, the College was frequently plaqued by many differnet types of weather conditions, so they needed a durable aggregate that would hold up to anything the state could dish out. Kenyon sought a solution that would maintain the aesthetic and experiential dimension of the sound of the stone’s crunch underfoot while providing more stability and compaction for less aggregate displacement while being permeable enough to avoid puddles. Replacing the path with concrete or asphalt would offer more stability, but these materials wouldn’t preserve the charm and overall aesthetic of the much-loved pathway, and would lead to oversaturation in the rainy months. We were able to create a stabilized pathway solution that was the perfect ratio of organic stabilizing binder and crushed stone. Additionally, we were able to produce the perfect aggregate that was both the perfect color and gradation to give the school’s pathway material optimum compaction and performance. A variety of product mock-ups were rigorously tested on-site at Kenyon using a variety stabilizing binders, specifications, and installation techniques before settling on the combination of a custom Kafka Granite color combination and Organic-Lock stabilizing binder. We were present at the construction site, which allowed our experts to oversee proper installation as well as answer any questions to grounds crew ran into. Through a close relationship in which multiple experiments and tests were run, our two teams combined were able to identify the best binder for the school’s historical pathway system. The final organic binder utilized in the stabilized DG was Organic-Lock by Envirobond, which made for the perfect solution to Kenyon’s problem of a deteriorating pathway. With Kafka’s pathway mix blended with Organic-Lock, Kenyon College’s stabilized pathways will experience less erosion than their predecessor, which was the original problem that prompted Kenyon College to reach out to Kafka Granite. Furthermore, the new DG stabilized pathway system will yield less mud and dust while remaining permeable for optimal drainage. 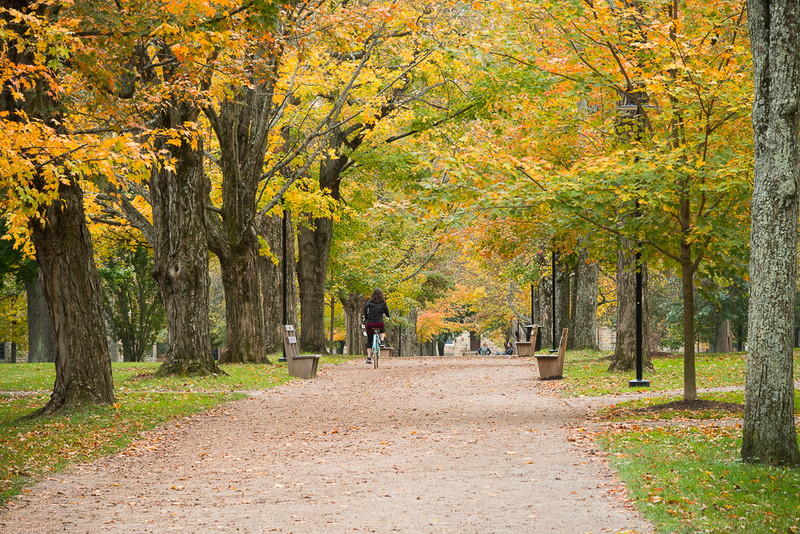 The new pathway blends in seamlessly with the natural beauty of the Kenyon College campus and has the added benefit of being ADA accessible, meaning that everyone will be able to enjoy its beauty. Furthermore, stabilized DG offered a thin loose top layer of aggregate, which replicated the feel of the original path. By being able to conduct thorough testing, provide a solution that was aesthetically ideal, and oversee the entirety of the installation process, our team was able to aid in preserving the historic charm and sophistication of Kenyon College’s iconic Middle Path. At Kafka Granite, we offer more 60 unique colors of aggregate and a full portfolio of innovative products, such as our all new natural stone veneers. From recycled materials to stabilized aggregates, we have the pathway mixes your project needs to meet its goals, be it preserving the past or meeting the demands of the present. If you would like to learn more about the Kenyon College project you can read the full story in the November 2016 issue of Landscape Architecture Magazine.